Our beautiful state offers many opportunities for boating, from navigating the coast of Georgia to cruising around in our picturesque state parks. 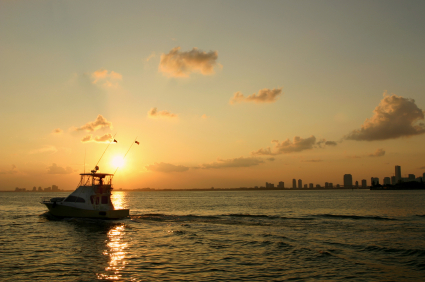 During the summer, more people try boating as a way to have fun while beating the heat. However, boating accidents can have devastating consequences and we have witnessed some tragic accidents across the country this month. On July 4th of this year, two individuals lost their lives after their boat hit a steel break wall in Lorain harbor on Lake Erie. The boating accident occurred at night, roughly around 11:00 pm. This accident gave rise to previously-expressed concerns about insufficient lighting in the area. Another accident occurred in the same spot in 1990 and involved a man and woman hitting the break wall. The woman in the 1990 accident sustained injuries that require her to use a wheelchair. Just weeks later, on July 19th, a tragic duck boat accident occurred in Missouri, leaving 17 people dead. The boat sank after 7:00 pm at Table Rock Lake amidst poor weather conditions. The boat was operated by Ride the Ducks Branson for the purpose of giving passengers a tour of the lake. According to CNN, the duck boat is being inspected and investigators are looking into various factors such as the weather, life jackets, the boat itself, and the actions of the crew. CNN reported that a mechanical inspector saw a problem with the location of the exhaust back in August 2017 that could cause the engine to stop. Additional concerns have been raised about the general safety of this type of boat. Who Is Responsible in a Boating Accident? The U.S. Coast Guard counted 4,291 accidents that involved 658 deaths, 2,629 injuries and approximately $46 million dollars of damage to property as a result of recreational boating accidents in 2017. Victims of recreational boating accidents and their families may be able to sue the responsible party or parties for compensation. A boating accident can be traced back to one responsible party or several. If someone has acted in a careless way and caused injury to another person, they may be considered negligent and can be legally responsible. An experienced attorney can help sort through evidence to determine fault in a boating accident. At Williams & Williams Law Firm, we can also determine if a lawsuit should be filed with federal or state court based on general maritime law. These recent accidents have brought boating accidents into the public eye. If you or a loved one has been the victim of a boating accident, please call us at 770-823-2711 to schedule a free case evaluation. Our lawyers will fight for your rights and pursue the full and fair compensation that you deserve. Williams & Williams Law Firm proudly serves clients in Alpharetta, Atlanta, and nearby areas of Georgia. How Much is Your Car Accident Case Worth? Do You Know What to Do after a Car Crash? How Are Attorney Fees Handled for a Truck Accident? Welcome to Our Injury and Accident Blog! What Are the Most Important Things to Look for in a Lawyer for Personal Injury Cases? How Common Is It to Get a Whiplash Compensation Settlement? Is it Ever Too Late to Call a Car Crash Lawyer? What Do I Need to Know about Personal Injury Judgments? Whats the Difference Between Personal Injury and Medical Malpractice Law? Can Personal Injury Videos Be Used in a Lawsuit? What Determines the Amount of Car Accident Compensation? How Can a Traumatic Brain Injury Lawyer Change Your Life? What Impacts the Success Rate of Personal Injury Accident Claims? Is it Ever Too Late to Hire a Catastrophic Injury Lawyer? Is There a Difference When There’s a Personal Injury Insurance Settlement? What Can I Expect During a Personal Injury Trial? Is There Such a Thing as a Trucking Accident Attorney? How Common Are Large Personal Injury Payouts? How Are Spinal Cord Injury Claims Different Than Other Injury Claims? Can I Expect Personal Injury Compensation from a Motorcycle Accident Claim? Is the Injury Serious Enough to Warrant Whiplash Injury Compensation? Are Construction Accident Injuries Hard to Prosecute? What Are Some Examples of Boating Accident Negligence? How Do I Choose an Attorney for a Spinal Cord Injury Case? What Is a Truck Accident Settlement? Welcome to our Personal Injury Attorney Blog!